Governor Abdulaziz Yari of Zamfara State has accused security agencies in the country of failing to prevent killings in his state despite alerting them about an impending attack 24 hours before the recent invasion of communities in Zurmi Local Government Area of the state, which resulted in the death of 39 persons. Speaking on Friday evening when he led five northern governors on a sympathy visit to the palace of the Emir of Zurmi, Yari noted that security agencies in the area failed to tackle the problem of cross-border banditry and terrorism affecting communities in the area. “Whatever was humanly possible that needed to be done, we as a government have done to mitigate this disaster. But it does appear that security agencies are failing in their responsibilities. “I feel let down facing the people of this state whenever I remember the promise I made to them that if they elected President Muhammadu Buhari into power, these killings would end. But unfortunately, things are now getting worse. “As such, I urge you security agencies to up the ante so as not to lose this war. If you let us put the matter in our hands, anarchy will reign, which is not what we hope for. But the Emir of Zurmi, Alhaji Atiku Abubakar, said if not for the bravery of vigilance groups who confronted the bandits, more people would have been killed. Abubakar said 600 bandits had attempted to invade Zurmi before they were repelled by vigilantes. He said, “They came on 200 motorcycles with three persons on each bike. Each of them was well-armed. We stationed 500 vigilante members who stood their ground and gallantly fought the bandits. Unfortunately, these same bandits turned their anger on travellers and other villagers on their way here; that was why we had 39 people killed. “These terrorists are known to us. Their major hideout is in a village called Kagara, very close to Bafarawa in Sokoto State, and a few kilometers from Shinkafi in Zamfara State. 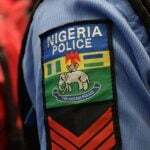 But despite several appeals to security agencies to storm the area, our appeals have failed. Meanwhile, prominent Nigerians and groups have berated the Zamfara State Governor, Alhaji Abdulazeez Yari, over his handling of the killings in the state. Groups and individuals, including the pan-Yoruba group, Afenifere; Senator Kabir Marafa (Zamfara Central) and the Centre for Anti-Corruption and Open Leadership, in separate interviews on Friday, said Yari was not compassionate. Yari chaired a meeting of the Nigerian Governors’ Forum on Wednesday night. He attended the meeting of the National Economic Council on Thursday at the Presidential Villa, Abuja. He was one of the governors who visited President Muhammadu Buhari on Friday to condole with him over the death of two of his relatives. The National Publicity Secretary of Afenifere, Yinka Odumakin, accused the governor of laxity. He said, “If you remember, it was the day after the burial of 73 people in Benue that the governor and his colleagues went to endorse Buhari for a second term. It may appear that the blood of Nigerians is the carpet for their coronation. “The President did not deem it fit to go to Benue where 73 people were killed on New Year’s Day, instead he went to Nasarawa where cows were killed. So, you can put two and two together. 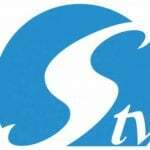 The apple of the governor is not falling far from the tree,” Odumakin stated. Also Marafa accused Yari of laxity in managing the security crisis in Zamfara State. He said Yari was paying more attention to the NGF as its chairman than Zamfara where he was elected to govern. He further alleged that the Minister of Defence, Brig.-Gen. Mansur Dan-Ali (retd. ), is from Zamfara but there was a “conspiracy of silence” on the attacks in the state. Marafa said, “Why are people not talking? Why is the state House of Assembly not addressing this issue? “Definitely, some people have to be brought to book. He was voted to be the governor, not the Chairman of the NGF. Marafa stated that he would continue to raise the alarm on the security crisis in the state, alleging that the gunmen were known to officials of the state government. He said, “I have been complaining but the state government always wants to sweep this thing under the carpet. “I said (at the Senate) that there was a problem and I said Zamfara was under a siege and that the state government had banned all vigilante groups. People who are not security agents now walk about with arms. “The governor keeps saying that he is spending money. Spending money on what, and why? What you see that just happened is not only in that community. 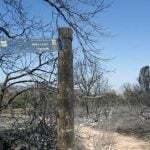 Within the last three days, different communities were attacked in Zamfara. It is just that this one is bigger than others. There are killings and kidnappings going on in Zamfara on a daily basis and nothing is being done. The Centre for Anti-Corruption and Open Leadership, equally came down hard on the Zamfara governor for not showing compassion to the victims. It noted that Yari should have visited the families of the victims and condole with them instead of visiting Katsina on a purported condolence visit to the President. The Campaign for Democracy and the Committee for the Defence of Human Rights also knocked the governor for his seeming insensitivity to the plight of his people. Also, the CDHR President, Malachy Ugwummadu, said, “We have seen presidents of countries, ministers and state actors cancelling state functions and even international engagements on account of a devastating situation back home. Also, a Northern elder statesman, Dr Junaid Mohammed, said these people’s death should be a source of worry to all Nigerians and the President himself. He said, “The governor is the Chairman of the Nigerian Governors Forum and I have warned him personally not to take other people’s responsibilities on his head, while his own responsibilities suffer. “It is clear to me and to the vast majority of Nigerians by now that this is not a listening government. This is a government which came to mess itself and the country up. We now have a clear picture of what really bothers the Federal Government and the Presidency. The President of the Middle Belt Youth Council, Emma Zopmal, described the killings in Zamfara State as unfortunate. He stated, “Buhari’s government plays politics with killings in other states especially those that enacted anti-open grazing laws, accusing them of not accommodating strangers. Now, how can the Federal Government explain the killings in Zamfara State? The National Publicity Secretary of the ACF, Alhaji Muhammadu Biu, called on security operatives to halt the series of attacks across the country. He said, “The bloodletting in the states, in form of bandits attack and herders/farmers clashes, has assumed a dangerous dimension which must be tackled head-on by the security agencies. “Federal Government’s decision to deploy troops in troubled states is, therefore, a welcome development. The factional President of Ijaw Youth Council, Eric Omare, said the continued killings in different parts of the country, including Zamfara, indicated that the current administration of Buhari had failed. Omare explained that the situation in the country, where the lives of Nigerians appear to be worthless, had degenerated under the watch of the current government. Liverpool manager Jurgen Klopp says the "cool thing" about his side playing against Barcelona is that they will never be considered favourites. Weather experts warn of drought in Europe over its summer as firefighters tackled forest fires on Thursday, and farmers fretted over wilting crops and a repeat of 2018’s arid conditions. 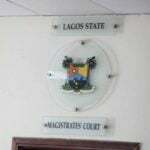 Four teenagers on Thursday pleaded guilty before an Ikorodu Magistrates’ Court to a charge of stealing phones, valued at N250, 000. 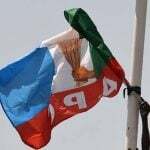 The All Progressives Congress, APC, in Bayelsa State has kicked against the approval of life pension for the state lawmakers by the Peoples Democratic Party, PDP-dominated State House of Assembly. 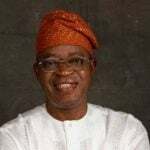 The appeal court in Abuja has reserved judgement over appeals filed by Gboyega Oyetola, governor of Osun state and the All Progressives Congress (APC). 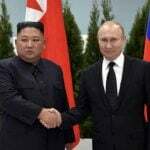 Russia’s Vladimir Putin and North Korea’s Kim Jong Un met face-to-face for the first time on Thursday, vowing to seek closer ties as they look to counter US influence. 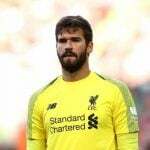 Liverpool goalkeeper Alisson is overjoyed to see Joe Gomez back on the pitch again after four months out with a broken leg.